“Jasmine Oolong Cup and Pot” by Fergus Ray Murray. CC BY-NC-SA 2.0 Generic License. Oolong teas, also called wu long teas, are considered connoisseur teas because of their complexity, but that’s no reason for a beginner to avoid them. 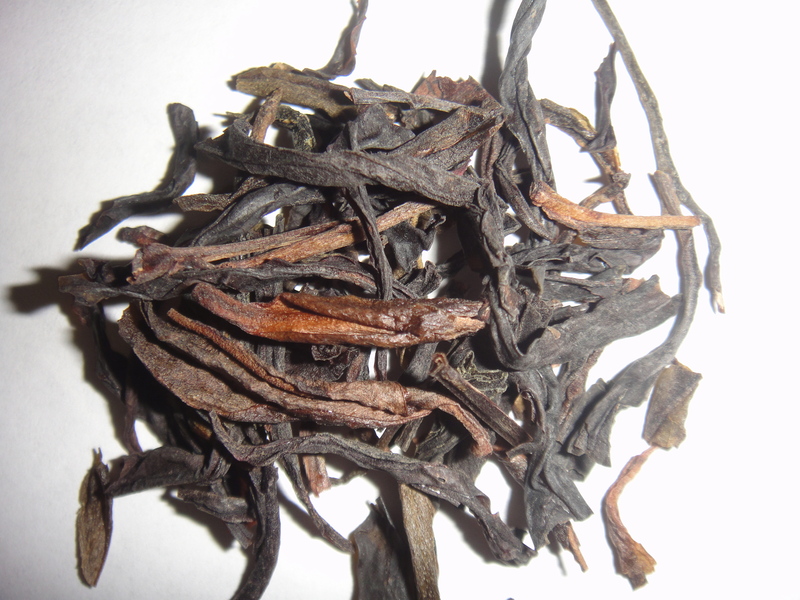 If your first oolong is a really good one, it might just rock your world. Like other teas, oolongs are prepared by plucking, withering, and oxidizing Camellia sinensis leaves. However, the leaves are shaken after withering, which bruises them. After being oxidized (anywhere from 12-80%, depending on the kind of oolong), the leaves may be pan-fired, which stops the oxidation process and creates a roasty flavor. 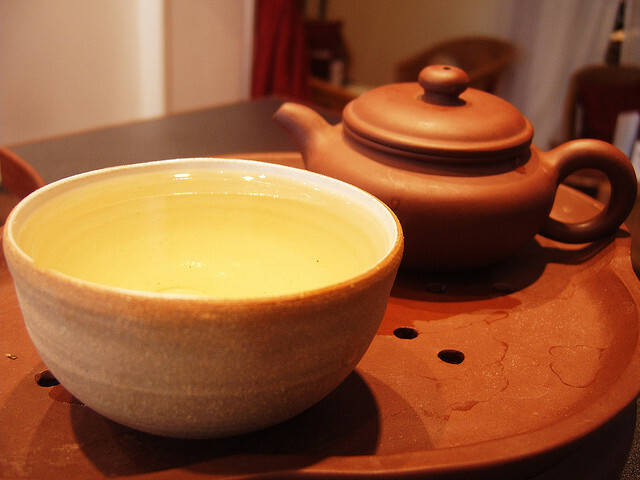 Oolongs are mainly produced by China and Taiwan and are frequently found in Chinese restaurants. They have only recently begun to find popularity in the United States, since their flavors tend to be very different than what most Americans are used to in their tea. Much of their American popularity is due to supposed weight loss benefits, which I will address below. Because “oolong” is fun to say! OK, I’m kidding, but it is true. Because they’re delicious! 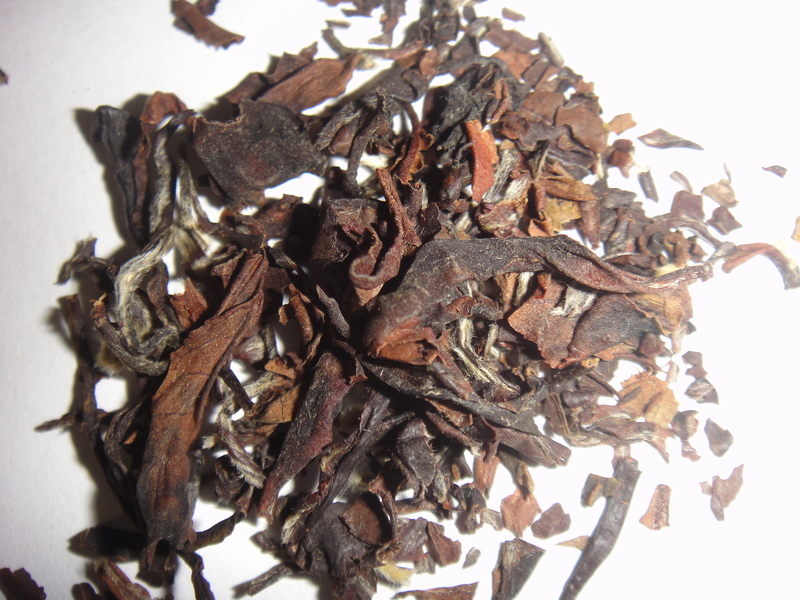 Oolongs are extremely diverse in flavor. Depending on the oolong, you may get anything from spring flowers to chestnuts, from leather to stone fruit and more (sometimes in just one tea!) You may also find a lingering aftertaste. Because they’re healthy! Like any tea, oolongs have some amounts of antioxidants, and their caffeine content makes them a good alternative to coffee (they’re somewhere between green and black tea.) 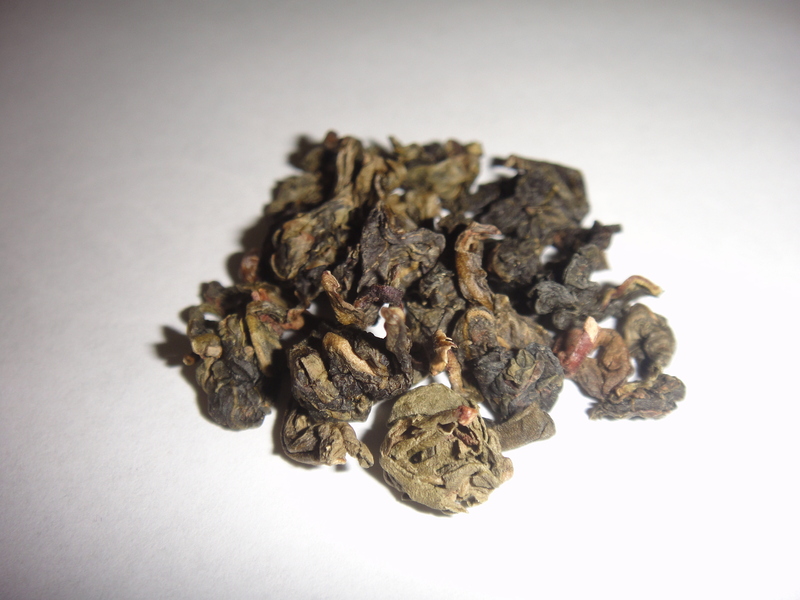 Some studies have also linked oolongs to cancer reduction. There are many ways to classify oolongs, but the one below is taken from The Tea Enthusiast’s Handbook: A Guide to the World‘s Best Tasting Teas by Mary Lou Heiss and Robert J. Heiss. To get a better look at some oolongs, check out the videos below from Samovar Tea Lounge, a San Francisco-based tea cafe and retailer whose YouTube channel has a lot of cool tea information. Because oolongs are such a diverse group of teas, it is important to check the instructions for each. General guidelines below. Oolongs are traditionally rinsed before steeping. To “rinse,” pour hot water over the leaves, then pour it out. This opens the leaves and smooths the flavor. Bai hao is the exception. Measurement per cup: Semiball-rolled–style: 1 teaspoon. Large-leaf or strip-style: 1 tablespoon. Can be steeped more than once; resteeping brings out different flavors. Although the above steps outline the Western tea-making method, oolongs have historically been prepared using the Chinese gongfu method, which involves very short steeps allowing the tea’s flavors to shine. Oohing, aahing, and longing for all the oolongs? Already tried some and got a favorite? Tell me in the comments below! Well done and beautifully written and laid out. Learned a lot to boot!